The simplest answer is that, no, you can’t jump start a car through the cigarette lighter socket—at least not according to the traditional definition of the term. 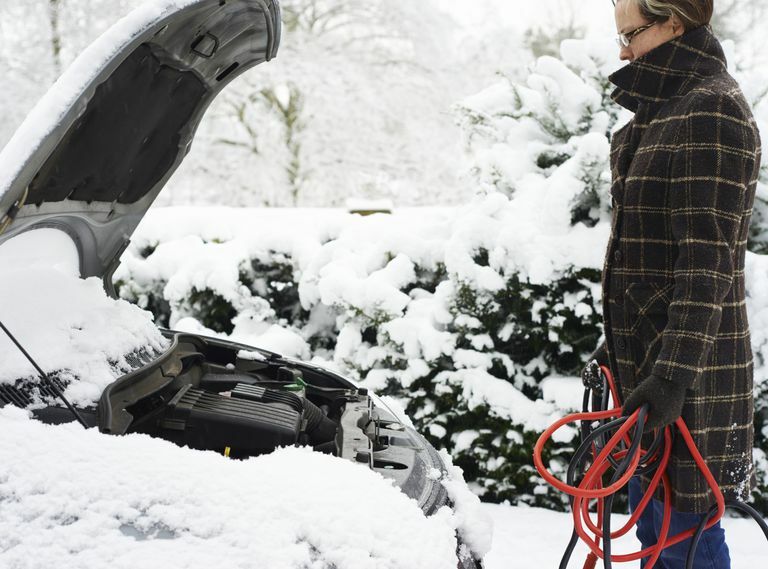 When you jump start a car, the car with the dead battery draws a tremendous amount of amperage from the car with the good battery, which goes straight to the starter motor. If you tried to run that kind of amperage through your cigarette lighter socket, nothing good would happen. Even if the cigarette lighter fuse didn't blow immediately, the likely result would be something melting or even catching on fire. And as to whether the car would actually start or not, that would probably be the least of your concerns at that point. The good news is that, while cigarette lighter jump starters can't technically provide a jump, that doesn't mean they're totally useless. In fact, they are perfectly capable of performing the function that they’re actually designed to perform. That, of course, is to provide the dead battery with a weak surface charge, delivered over time, which may be enough for the engine to start, provided you don’t have to crank it very long. The easiest way to see the problem with cigarette lighter jump starters is to look at one and compare the wires that come out of it to high-quality jumper cables. Even a cursory inspection reveals that the wires included with a cigarette lighter jump starter and the cables used in jumper cables are designed to handle radically different amounts of amperage. If you’re feeling especially adventurous, you can also check out the difference between the positive cable that connects your starter to your battery, which is probably about as thick as your thumb, and the wires that hook up to your cigarette lighter, which probably isn't even as thick as a piece of spaghetti. Another way to look at it is that cigarette lighter circuits are typically fused at 10A or so, and a starter can draw upwards of 350A when it is cranking over. The specific numbers will vary from one application to another, but there is clearly a pretty huge disconnect between the two, and it’s equally clear that you’re never going to deliver the same amount of amperage via a cigarette lighter jump starter that you can with good jumper cables. So What Good Are Cigarette Lighter Jump Starters? When you hook a dead battery to a good battery, the dead battery will act as a load, and it will tend to draw power from the good battery. This isn’t as efficient or quick as actually charging it, but some amount of charge can be expected to move from the good battery to the dead one, and this is what cigarette lighter jump starters rely on. Unlike jumper cables, which you hook up, maybe wait a minute, and go, cigarette lighter jump starters take time—when they work at all. If you have one of these devices, and you find yourself absolutely needing to use it, you’re typically going to have to hook it up and walk away for a while. If you’re lucky, you’ll come back and find that your battery has enough charge to crank. If you aren’t, then you’ll probably wish you had just called a tow truck, or bought jumper cables, in the first place. But Aren’t Cigarette Lighter Jump Starters Safer? Jump-starting a car with regular jumper cables, or a jump box can cause problems in two different ways. The first is if you straight up connect the cables backward, and the other is if you hook both cables to the battery and cause a spark that subsequently ignites fumes that have seeped out. These issues can both be negated by simply taking care when hooking up the cables and following the correct procedure to safely jump start a car. Although a cigarette lighter jump starter that connects one cigarette lighter receptacle to another is technically less likely to arc out or cause a battery to explode than using jumper cables improperly, you’re probably better off buying your kid a good set of cables, or even a jump box, and carefully instructing him or her on how to properly use them.